Dreamscapes was founded with one simple principle in mind: provide unparalleled customer support and outstanding quality services. 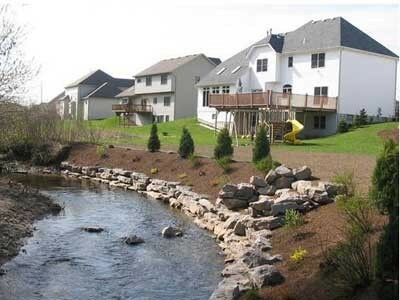 Since our founding in 1956, we have built up a staff of professionals to serve your every landscaping need. 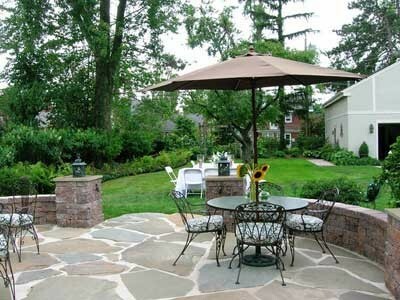 We employ experts in the landscape and lawn care industry to give you a personalized and custom approach to your outdoor design needs. 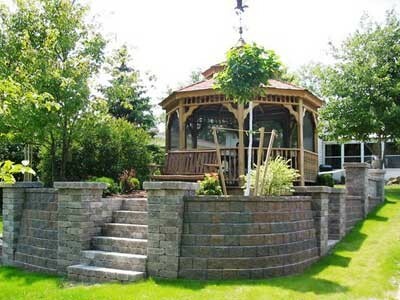 From routine lawn mowing and fertilization to creating elegant outdoor living spaces, Dreamscapes has been the dominant leader in the industry by providing attention to detail, quality products and quality workmanship. 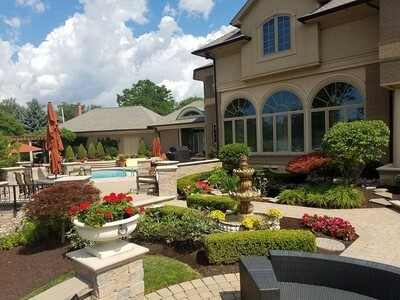 Our reputation for customer satisfaction in the Buffalo and Western New York areas, are what has made Dreamscapes a household name in the industry. There are 26 photos in this gallery. There are 17 photos in this gallery. There are 37 photos in this gallery. Our project began as a challenge. We have a corner lot, with unwanted traffic beginning to use our yard as a "shortcut." I wanted a fence, but my husband was totally against it. The neighbors placed a very ugly fence at the property line at the back of our yard. We also had an odd shaped sloping backyard which made placing a picnic table difficult. We wanted to use our yard, but it wasn't very usable. We called three other companies before we chose Dreamscapes. My husband and I both had a good feeling when we met Gary Benson. He didnt come in and take measurements and tell us what he could do for us or ask us how much money we wanted to spend. He took the time to ask us how would we like to use this space! And he listened to the answers we gave to him. 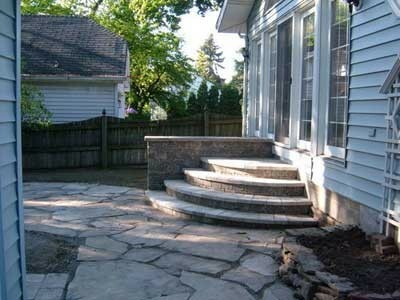 That was the beginning of our beautiful patio design and landscaping project. Not only is it the talk of the neighborhood, but it was designed and built for the purposes we wanted and needed. The Dreamscapes team came in and totally changed our yard into an oasis of relaxation if we want to spend time alone and plenty of functional space to enjoy family and friends! All of the personnel who worked in our yard are friendly, helpful and expert craftsmen. They paid attention to every detail and put our minds at ease when we had questions or concerns. They finished our project pretty much in the time planned. It was a pleasure working with all of them! My husband and I always ask ourselves three questions when we use a service or service related product. 1) Would we call them again for service? 2) Would you buy this product again? 3) Would we recommend this business or service to someone else? 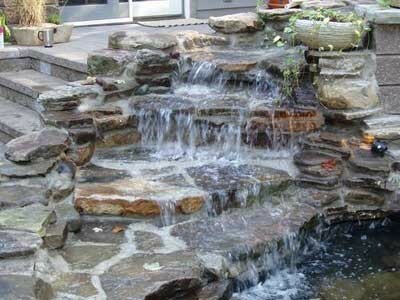 If you are talking about Dreamscapes Landscaping, the answers are YES!....YES!...YES! I wish there were words adequate enough to thank you guys for the amazing work you did creating a beautiful retreat for me in my backyard. My dad died, my uncle died and then my baby died, I needed a quite, peaceful place to escape to in this time of need and you came through. You went above and beyond what I could afford and donated the difference. I felt like I was on extreme backyard makeover. I never thought there were really people out there who would give so much to a stranger. Thank you and God Bless!!!! 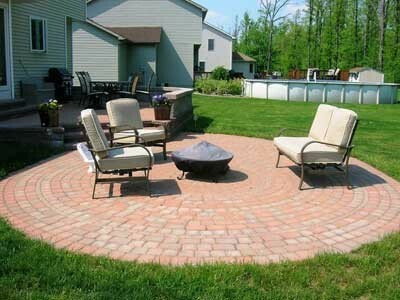 We live in Cheektowaga and have had numerous problems with our backyard. Our backyard sloaps towards our house and we needed it regrated. We have lots of clay and mud, and we had such a hard time growing grass. When we met Gary we found him to be very knowledgeable and had all sorts of ideas for us. He brought us out all types of paver samples and wanted to make sure we were really happy with our choice. They are wrapping up the work today in my backyard and so far I'm extremely pleased. I got new sod and new pavers in my backyard because we constantly had mud as you walk out the backdoor. I'm so happy I don't have to go through that again. They were very courteous with my neighbor too. 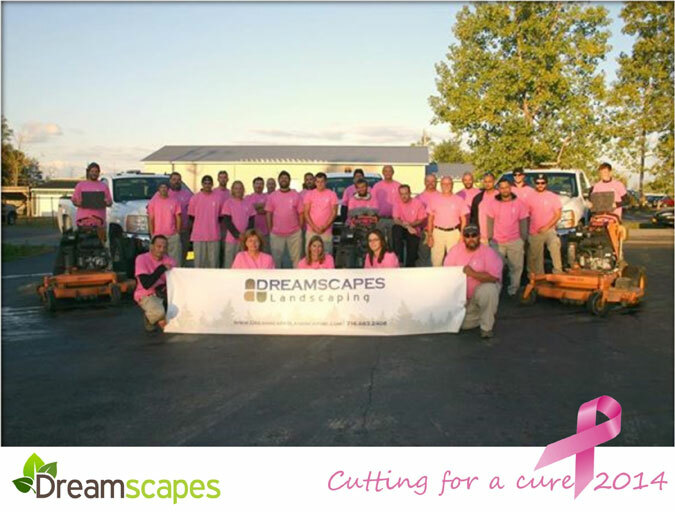 We are so happy we chose Dreamscapes Landscaping and would definitely recommend them to anyone who wants a beautiful yard. I can't wait to show off my yard to my family and friends.